Featuring weekly, 'Sarah-Hayley recommends' is a new post that will recommend brands, blogs, twitter accounts and anything I think you would like to know about. If the post is sponsored, it will be stated on the imagery. This week I recommend the fabulous flower delivery service, Next Day Bouquet. On Thursday I was lucky enough to receive a beautiful Orchid as a gift from a designer label. Wrapped to perfection and encased within a specially designed box which protects the flowers, I followed the instructions and my Dendrobium Orchid was revealed. 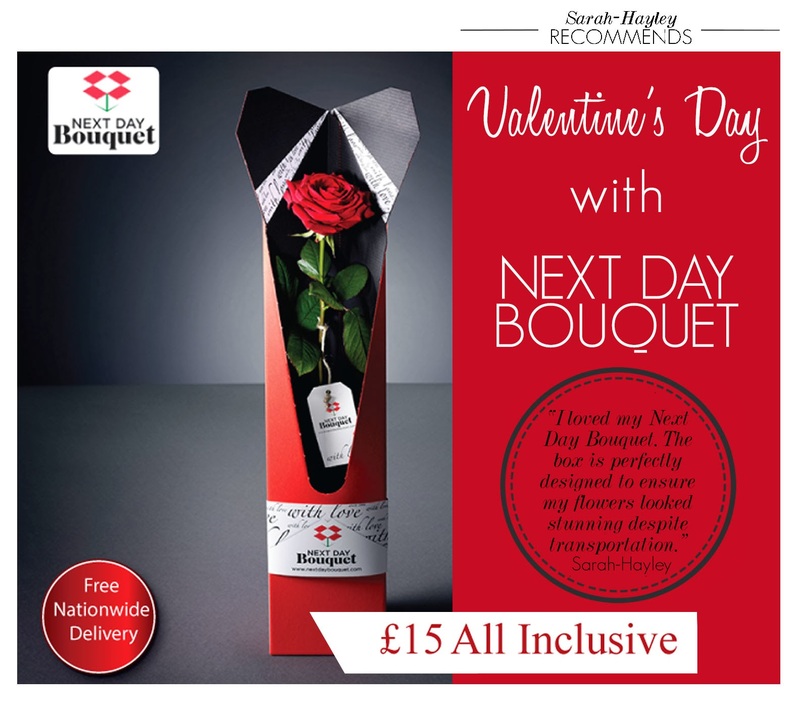 With Valentine's Day just around the corner, be organised and order your single rose or a dozen red roses, complete with glass vase, for the special person in your life. You can find a photo of my Orchid on instagram, here.